Offer Price includes: assembled unit stand, table top, motor, instructions and manufacturers accessories. The Juki MO-6800S series responds to various kinds of sewing materials and processes, producing delicate and beautiful soft-to-the-touch seams while further reducing operating noise as well as increasing durability. This advanced overlock machine is easier to use and promises cost-effectiveness & responsiveness from light-to heavy-weight materials with a lower applied tension. The MO-6814S is a twin needle 4 thread overlock model supplied with metal unit stand, wooden table top and sewing machine motor, ready for industrial overlocking applications. 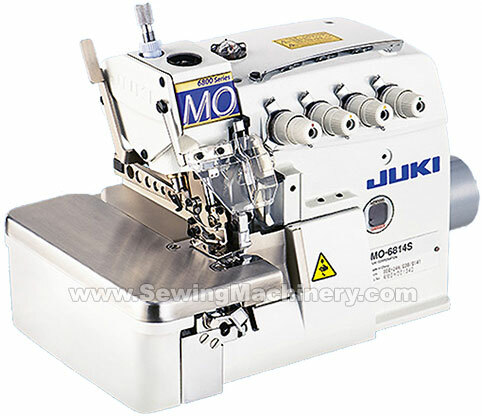 Juki MO-6804S = 3 thread single needle overlock sewing machine. 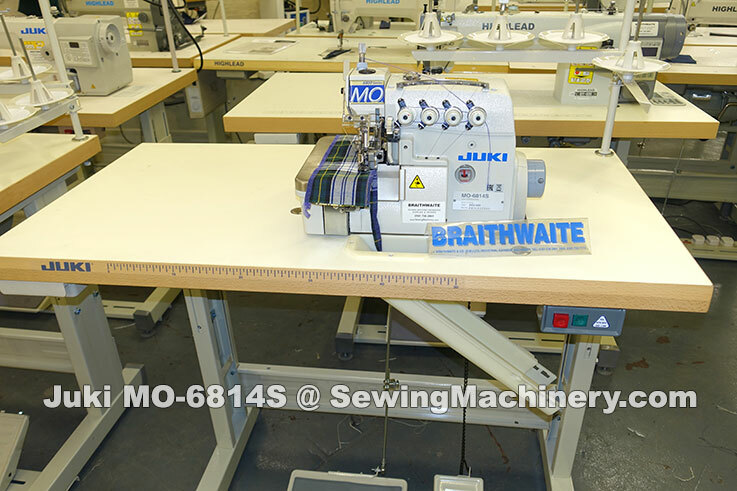 Juki MO-6816S = 5 thread twin needle safety stitch overlocker sewing machine. Juki MO6814S overlock sewing machine assembled with unit stand, table top and motor. DDL-9000 Juki DDL-9000B Single needle UBT lockstitch sewing machine with Direct Drive ,automatic thread trimmer & stitch program.